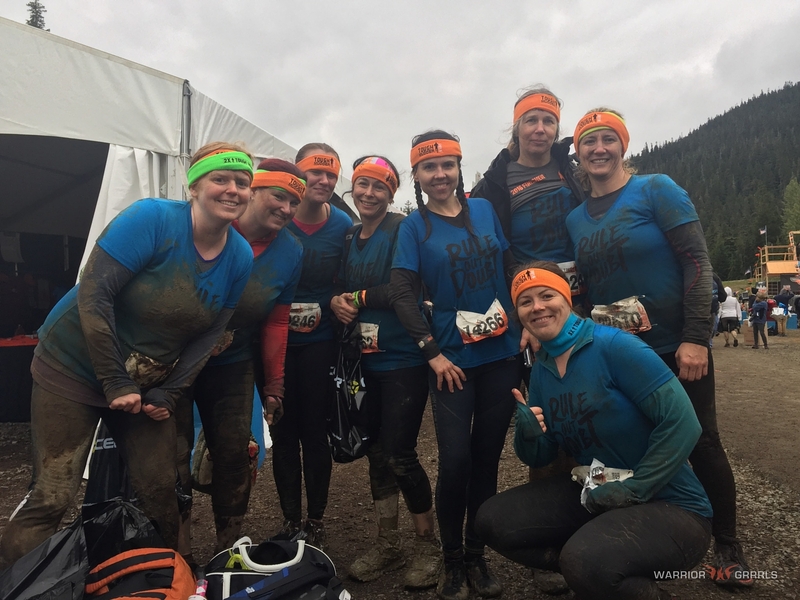 The Ladies of Tough Mudder 2016! Unlike last year, where I didn’t know a single woman on my Tough Mudder team, this year I had a mix of old friends, new friends, and soon to be friends. And the dynamics were fantastic! I wanted to honour their great achievement by letting everyone know a bit about them. At the age of 20 this adventurous soul hopped on a train from Halifax with nothing but $100 in her pocket, and didn’t look back. Now a mother of 5, it is hard for this 39-year-old to find a few hours to get away, let alone take a trip across the country. But her adventurous spirit is still alive and well! Using her precious “me-time” to its fullest, she decided she wanted to challenge herself to something unlike anything she had done before, and picked Tough Mudder. 2016 marks her second time through the course and she well earned her green headband! She has already signed up for her third and has plans to keep herself busy with a triathlon in the meantime. Jen is a woman of many hats and I had to smile when she placed stay-at-home-mom at the top of a list that includes: accounting supervisor for family business, music festival producer/administrator, doula and homeschool parent. It is obvious where her priorities lie. Which makes it extra amusing that the reason she did Tough Mudder was because her son said he didn’t think she could do it! At 29, she was the youngest on our team. Sarah started running with me a few months ago and little by little I convinced her to join our wild crew. Truthfully, I could tell she was intrigued, and it didn’t take much to convince her. This 2003 Pan American games women’s wrestling silver medalist is a WarriorGrrrl at heart! She recently held the role of health director for Katzie First Nation, but she is currently on hiatus while she runs the youth programs for Princess Cruises. Children are the perfect outlet for her as she literally never stops! Her energy showed in spades on the course as she was never in the same spot and I often lost track of her causing me to ask “Where’s Sarah?” over and over. Hopefully I didn’t give her an invisibility complex! We were excited to have a clinical hypnotherapist on our team. I mean, who better to help us calm our nerves if we got too scared to try something on the course? This 36-year-old mother of two had super energy. Even when she was tired she showed a determination to make it to the very end. The mind is where her strength lies. While she considers herself fit, she wasn’t sure she was ready for the Tough Mudder physically. She realized that controlling her mind and keeping positive energy was the way to succeed! As well as a hypnotherapist, she is also a medium. A medium uses his or her psychic or intuitive abilities to see the past, present and future events of a person by tuning into the spirit energy surrounding that person. I know this isn’t what she uses her abilities for…but if she can get some kind of read on the weather for next year, that would be really amazing! 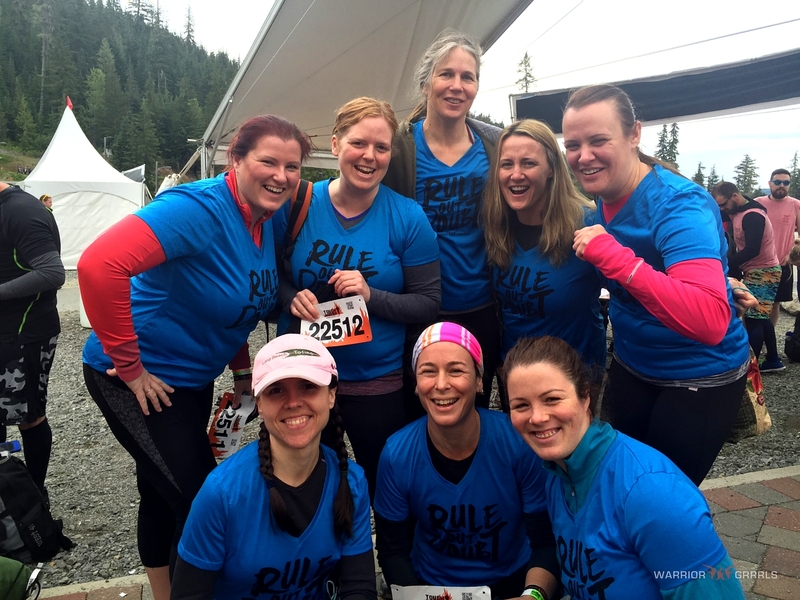 This 39-year-old neurophysiology chartered scientist works at BC Children’s and Women’s Hospital, and is also now a two-time Mudder! Her never ending smile was infectious and kept us going on the course, even when we were chilled to the bone. Quit? Nope! Plan for next year? Of course! Let’s talk strategy for next year’s Pyramid Scheme obstacle! Love life is her mantra. A well-rounded active person, she is drawn to many different activities including road biking (just completed the Bike for MS ride), mountain biking, and hiking. But the one that interests me the most (can you tell I’m angling for a lesson??) is pole fitness! The muscle strength needed to hold some of those positions is amazing, and is something to be proud of. This 48-year old is a single mom of 4 (mostly grown) children. She showed us that tenacity is key! Suffering a knee injury last year, she began running as part of her rehab. Unfortunately she discovered her issue is degenerative, but that hasn’t slowed her down. She has put together a bucket list of things to do and has knocked Tough Mudder off the list. And not only that…she was the first to re-up for next year! She originally had plans to do the race with her daughter, but when circumstances didn’t allow her to join, she jumped into our team! This was especially awesome since she actually hadn’t met any of us – even once. Who were these crazy women she was about to embark on an adventure with? This 37-year-old corporate travel consultant was the most determined and fearless member of our team this year. She tried every single obstacle without hesitation, and conquered almost all of them! She was an inspiration because if she could do it, we all could at least give it a shot. Accomplishing this goal was so important to her that she drove up that morning from Vancouver, and then drove home directly after the event, as her schedule would not allow her to stay the weekend. Dedication! When she’s not conquering Whistler Olympic Park, she keeps herself busy with mountain biking, trail running, snowboarding, wakeboarding, kickboxing, rock climbing, and travelling. Definitely not someone to sit on her laurels! This fabulous woman is not pictured at the event because she had the illustrious role of “hype girl” this year! She provided excellent vehicle accompaniment up to Whistler, brought energy to the room, set out most excellent post-race snacks, and organized dinner reservations for us so we wouldn’t have to worry about them. What would we have done without her? And the best part? Although she has often been heard saying “I don’t like to get dirty”, she said wants to join us on the course next year! Thanks ladies for a great race, and so excited to do it all over again with you next year!